More and more people are using electric toothbrushes these days because such toothbrushes do the job with considerable precision. Braun electric toothbrushes are perhaps the most popular ones. These toothbrushes can last fairly long, unlike their manual counterparts which have to be thrown away every few months. Because of the mechanism built in, these toothbrushes are expensive as well. A battery is the life of these toothbrushes. Braun electric toothbrush battery replacement is easy if you know how. Ironically, people would end up discarding an otherwise functional toothbrush simply because the battery which costs 1/16 or so of the total cost of these toothbrushes is no longer accepting charging. There are ways to open the Braun electric toothbrush and replace its battery, effectively prolonging the life of these expensive toothbrushes. For starters, you need to know what type of battery fits inside your Braun electric toothbrush, and from where to procure it. These batteries differ in characteristics and size of conventional batteries. Basically, these batteries are Nickel metal hydride batteries or Ni-MH batteries.The rating of these batteries is about 2500 mAH (3Wh) or 1.2 VDC. Their numbers need to match as the dimensions differ from one Braun electric toothbrush to another. For example, Braun electric toothbrush 3756 type requires 49 x 14 mm batteries, whereas 3762 type requires batteries that are 42x17mm. Therefore, a compatible battery needs to be purchased. 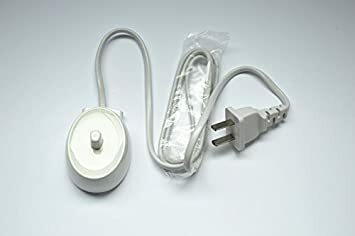 There are other companies such as WorldGen, HQRP, and Triumph Professional Care that are into manufacturing such rechargeable batteries for electric toothbrushes, including Braun electric toothbrushes. These batteries can be purchased from online retailers such as Amazon, and eBay. These batteries are sold along with required tool kit but without soldering iron, which will also be needed for Braun electric toothbrush battery replacement. The mechanism in these toothbrushes can be removed from the base of the toothbrush. But to release it, a washer present at the brush end of the toothbrush needs to be pulled out. Note it needs to be removed and not broken. It won’t be easy as some of the toothpaste used over the period would be cementing it to the handle of the toothbrush. Pliers may be used to free it while simultaneously rotating the handle clockwise and anticlockwise. Once the washer is out, the mechanism can be released easily by pushing in something that fits snugly into the hole at the base, like a screwdriver’s head. The head would have to be twisted gently either way to release the mechanism. The charging coil would be at the base. To prevent the spring from being lost while trying to replace the battery, remove it also and keep it with the washer. While doing so, do not disturb other parts of the mechanism in the Braun electric toothbrush as there is some insulation. You would notice the switch lever. You can pull that out as well from its attachment at the brush end. It is not soldered, just pressed in slot. The battery is soldered inside to the motor and so also the circuit board, so you would have to remove these solderings with some force for opening the case holding the battery. That also won’t be easy because some stability would be needed so use a vice grip, with some packing to prevent damage to the electronic mechanism. Use some de-soldering gun to remove the soldering once the vice grips the toothbrush firmly. Likewise, the battery is soldered at one position on to the circuit board at the base end. That soldering also needs to be undone. Once the battery is released from all ends, i.e., from motor and circuit board end being the positive side of the battery facing the brush end, and the soldering at the base end to the circuit. Now, the battery can easy slide out of the capsule like part holding it. The compatible battery would have terminals that are long unlike the conventional batteries. These terminals need to be opened and kept straight. The positive end of the battery needs to be inserted facing the motor side and if the terminal is in excess, it needs to be cut so that no metal part is likely to come into touch with any other metallic part except where intended. Soldering undone needs to be redone and the switch lever needs to be affixed. Likewise, spring needs to be put in its place and the entire unit needs to be pushed into the case from where it was pulled out. Use the screwdriver once more to tighten the unit within the case and affix the washer at the top. Thereafter, set the electric toothbrush for charging.Check an earlier post on choosing electric toothbrush heads. 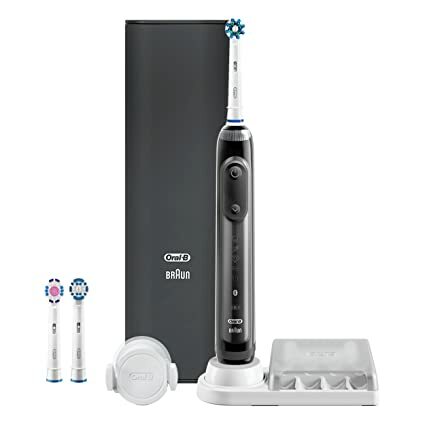 The structure of Braun electric toothbrushes is similar inside so the method may be used for any model of Oral B electric toothbrushes. Experience in such works makes the task of Braun electric toothbrush battery replacement easier and faster. Unsoldering and re-soldering parts are tricky as is ensuring a firm grip in a vice. If care is taken to ensure that there are no short circuits and all the fragile parts are not damaged, there is a substantial saving of the toothbrush’s cost. If you do not want to mess around changing batteries, you can buy new electric toothbrushes from Amazon or from your local store. If you have any questions, please do leave me a message, I hope you found this post useful. Very informative and inspiring. The jungle of words are appopriate for this kind of article. Handsdown to the author! Thanks for stopping by, there are no jungle of words here, I just explained things. Copyright © 2019 Fresh Breath Fix. All Rights Reserved.